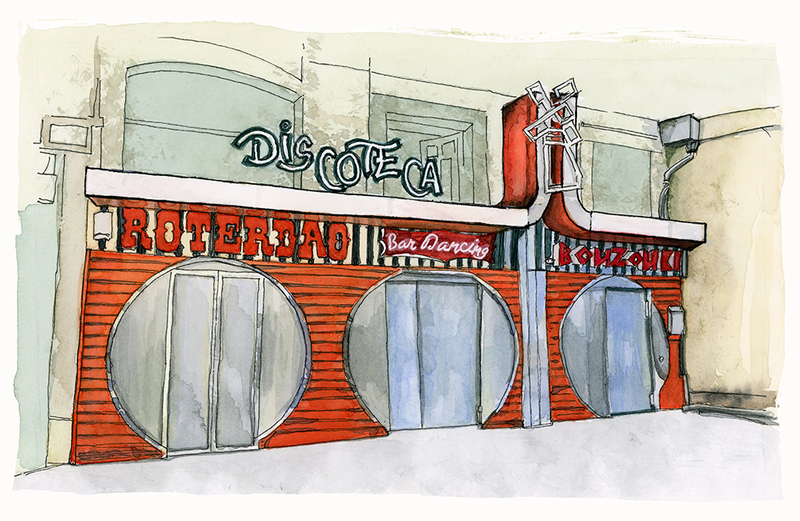 My watercolour of a day view of Roterdão Club on the famous "pink street" in Lisbon Portugal. From my 21-day stay in Lisbon in 2017. The place looks super-fantastic at night with all of the neon and surrounding lights lit up.